We’re super excited that Alphabetic Order, the educational leg of our type & design studio tripod, is holding its first Type Design Class tomorrow. 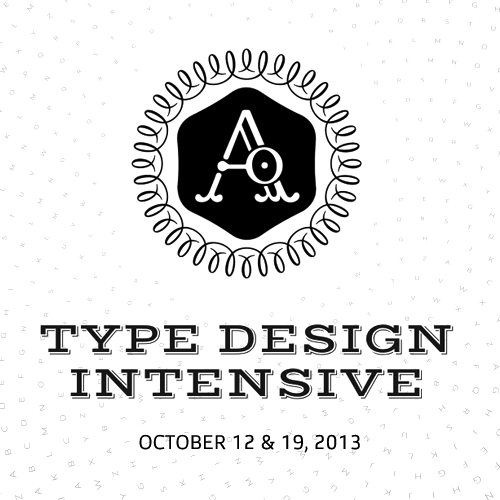 The Type Design Intensive is a comprehensive hands-on workshop delving into the processes, best practices, and clever techniques you need to produce your own fonts in an efficient and directed manner. We’ll cover ideation, sketching & drafting; composition; drawing tools & techniques; vector construction; letterfit principles & application; terminology; font mastering, beta testing and much more. It’s two days (spread over two weekends) of concentrated type learning, with some some nice bonuses included. Missed the signup? No worries, we plan on holding more classes & get-togethers soon!